I think it came out very well. 1. Why did you choose to write about something as disturbing as ritualized cannibalism? Ivan: When the opportunity to write a horror story came along, I knew I had to be both frightened and fascinated by the subject matter. None of the usual paranormal situations fit the bill - I like supernatural tales but they don't usually scare me any longer. So I asked myself, "what's the most frightening thing you ever read?" It was a Lovecraft story titled "The Picture in the House," about a South Sea captain who had encountered - and been changed - by exposure to cannibalism. 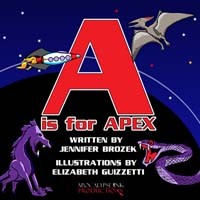 It probably didn't help that I read it around age 12, but I still remembered it vividly. As to the fascination, it's something so difficult to imagine. Even in times of desperation, the way this would change a normal person is almost unthinkable. That's why I made Gordon so normal - he's nobody's hero at the start of the book, and probably would have lived a quiet, normal life if he hadn't been brought into this circle. Watching him break down in my mind, then watching him rebuild, was a great process. 2. How much research did you do for FAMISHED: THE FARM? Ivan: The land, weather and physical features of the novel were already familiar. I spent some time on a working farm in Allegan, Michigan while writing the first draft, which helped to get the sense of rural isolation down. Most of my research for the Farm itself revolved around isolated compounds like Warren Jeffs' and the Minutemen, with information gathered from news reports, interviews with former members, and various hate watch organizations. Not fun research, but important. The supernatural elements were made up of memories from things I'd read before, then re-read and altered to fit my view of the FAMISHED universe. 3. Is there a sequel forthcoming? Ivan: With three more known bases for the Gentlemen Ghouls, I've definitely got two more books in mind. Gordon will change quite a bit over the next year, and so will the fabric of the cannibal cult. 4. What was the most disturbing part of FAMISHED to write? Ivan: Martin's betrayal in the pigpen, during the siege. It came ripping out in a short night's work and I wanted to keep that raw, immediate, emotional feel of betrayal and pain as I went through edit after edit. The hurt, the blood, the weakness and the helplessness were all things I felt strongly while setting it down. It was definitely the most difficult and emotional section to write. 5. What was the best part of FAMISHED to write? 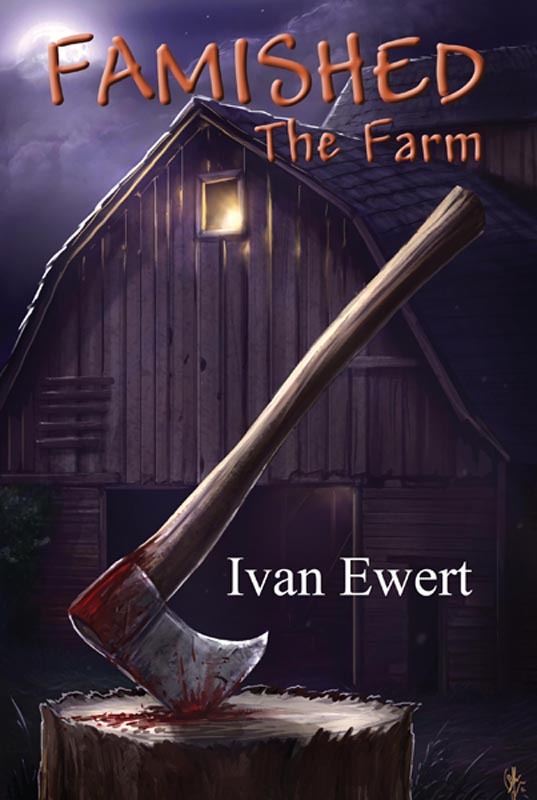 Ivan: The climactic scene at the Farm. There were so many moving pieces to keep track of, so many conflicting agendas and ways in which to cross one another. I had this great map all laid out across my desk for weeks and would just tear it off, re-create it, and figure where everyone belonged to get the most out of the scene. It was work that rarely felt like work. 6. Where can we find all things about Ivan Ewert? Ivan: You can follow me at ivanewert.com. In addition to news on all upcoming creative endeavors, I can promise that all recipes posted there are perfectly safe for human consumption.